Pricing includes crossmember, skid plate, 15 black flat head metric screws for mounting the rubber mounts (14 needed and one spare) and a long metric Allen wrench. Laser cut dual transfer case crossmembers bolt on with all 8 of the stock mounting bolts that attach it to the frame. Fully machined for smooth bottom and smooth edges. Made of hot rolled pickled and oiled steel for a better finish. Is fully one piece with smooth laser cuts and no stress risers in the corners. Fits around any IFS brackets and mounts with no trimming. Has slotted holes to allow for better frame fit. 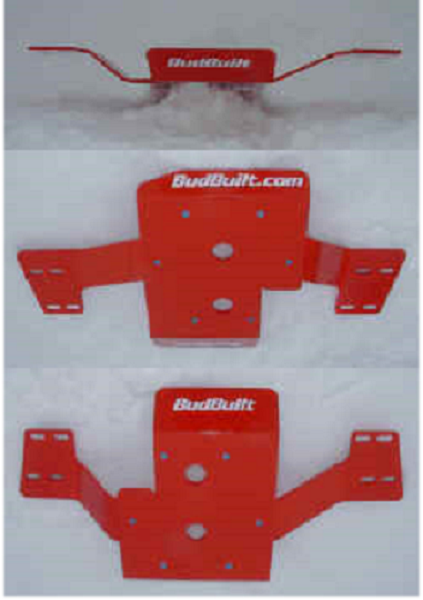 All BudBuilt dual case crossmembers have a large hole in them to allow access to the drain plug in the dual case adapter. The skid plate must be removed for this access (6 screws). This allows for a totally smooth bottom with no cutouts or holes to catch on the rocks or stumps. 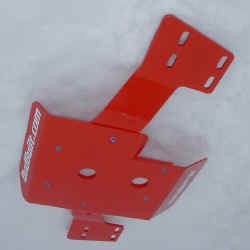 The additional thickness of the skid plate allows the bottom of the Toyota factory mounts to be level and flat not hanging down like other products do. 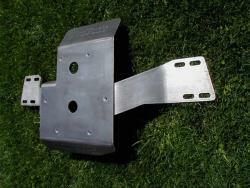 Available with drivetrain lift built in at no extra cost! Uses two stock transfer case rubber mounts for better torque absorption and dampening. Does Not Work with V6 or 4 cyl automatic! This dual case crossmember weighs 60 pounds.